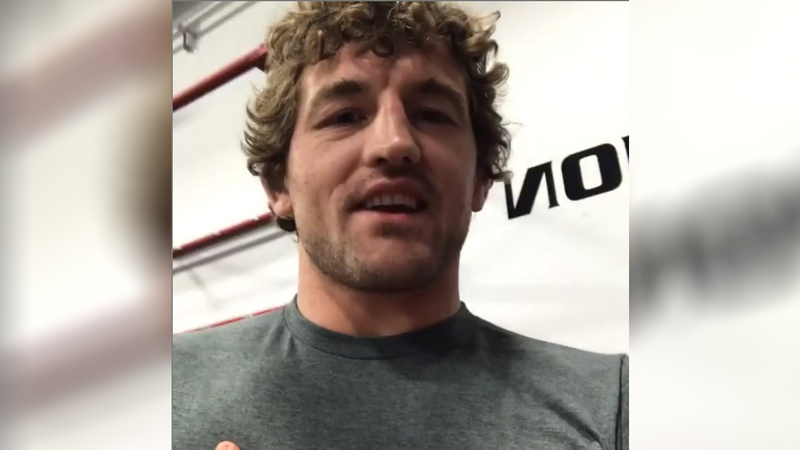 Former ONE and Bellator champion Ben Askren is one fighter who is never shy to express his opinion on social media, and he’s at it again, this time ‘Funky’ vows he’d retire if gets KO’d by newly crowned welterweight champion Kamaru Usman. Askren recently made his highly anticipated UFC debut at UFC 235 where he earned a controversial submission win over former champion Robbie Lawler earlier this month. On the same card in the main headliner bout, Kamaru Usman captured a welterweight title after defeating Askren’s longtime friend Tyron Woodley via decision. Many praised Usman’s performance while Askren said he’d have booed out of the arena if I fought like ‘The Nigerian Nightmare’ at UFC 235. Not only that ‘Funky’ fired another shot confidently said he could also submit Nigerian with ease. When I submit him can we give him his brown belt back? Moreover Askren and Nigerian also got into a minor altercation backstage before UFC 235 event. The beef between the duo is date back to December when ‘Funky’ lobbied for an interim title fight against Kamaru Usman at the UFC 233 event (which got canceled), where Nigerian was expected to take on outspoken Colby Covington in a match which didn’t materialize. Usman is undefeated in Octagon with six Knockout wins overall. Meanwhile, Askren is also undefeated holds a professional record of 19-0. At the moment Usman’s next title challenger is Colby Covington who last fought at UFC 225 in June of 2018, where he won the interim welterweight title after defeating Rafael dos Anjos.